The good people over at the Center for Barth Studies have asked the theo-blogging community to help spread the word about the upcoming Princeton Barth conference, to be held in June. You see the most vital statistics in the image above. More information can be found at the conference website, including an exciting feature this year - the call for papers! That’s right! If you have something interesting to say on the topic, send in a proposal and see what happens. That goes for you doctoral students too! The list of plenary speakers certainly looks good. I currently have no plans to attend, but perhaps inspiration will strike in the form of a paper proposal… One never knows. Anyway, I’m told there is early-bird registration pricing. So get a move on! Deadline approaching for DET book giveaway contest! This is a final reminder that you, gentle readers, are quickly running out of time to submit your entry for the DET book giveaway contest. The deadline for entry is February 1st. The prize is the recently published Westminster Handbook to Karl Barth (WJK, 2013) edited by Richard Burnett. For all the details, see the announcement post. I have received two entries so far, so someone will get the book. But there is still plenty of room for further challengers. So send in your entry ASAP! (1) After his dissertation under Barth on Calvin’s doctrine of reconciliation (Christ In Our Place, I highly recommend it), van Buren worked as a pastor and seminary professor. This pushed his interests toward the problem of communicating the gospel in the contemporary world. These concerns lead him to publish The Secular Meaning of the Gospel, which Barth did not care for. There was something of a falling-out. One of the persistently high-performing posts here at DET is my rather hastily thrown together post, now over 5 years old (! 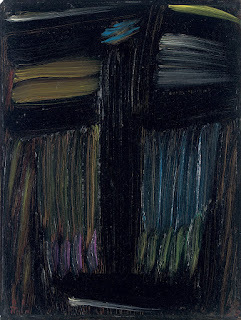 ), delineating several types of theology. “Systematic theology” is one of the “types” that I define there. 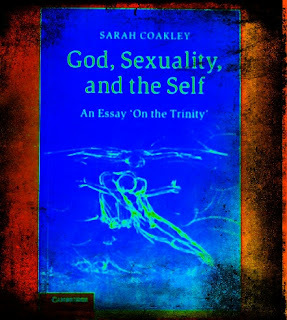 Well, I’ve been reading through Sarah Coakley’s new book - God, Sexuality, and the Self: An Essay ‘On the Trinity’, which is to be the first volume of a more complete systematics – and she offers what I find to be a compelling definition (or, perhaps better, description) of systematic theology. I thought that I would share it. As usual, bold is mine and italics are original. Some of you may remember when I did this last year. I find it rewarding to keep track of my reading. Well, it goes hand-in-hand with keeping track of what I have not yet read. I keep a list, you see, of books that I own but that I have not yet read. And I get to cross things off that list once I read them. This supplies some motivation, at least for me. It also supplies some restraint when it comes to buying new books. Some. In any case, I read rather more this past year than the year before. I chalk this up to the fact that in 2012 I was still very much getting used to this whole teaching thing. But this past year I felt much more confident in it and was able to spend more time with my nose in books. Jumping ahead a bit, I want to get into chapter 2. Thus far in this series I’ve been sharing sections of my book that might have been accessed as samples on my publisher’s website. But now we move beyond those sample offerings into the meat of the argument. Central to that argument in the second chapter is my concept of “sacramental soteriology.” You’ll need to read the chapter to see the notion worked out in detail, but here is a paragraph from the chapter’s introduction that provides a basic orientation. W. Travis McMaken, The Sign of the Gospel: Toward an Evangelical Doctrine of Infant Baptism after Karl Barth, Emerging Scholars (Fortress, 2013), 59–60. I thought that I would take this opportunity to remind everyone once again that we are currently in the middle of a book giveaway contest here at DET! That’s right - this is your chance to win a free copy of the newly published Westminster Handbook to Karl Barth (WJK, 2013), edited by Richard Burnett. In the last link post I was talking about how I had a backlog of a few hundred blog posts to sort through. Well, I’m happy to report that said sorting has been accomplished – although, in fairness, I might have culled material a little more aggressively than I sometimes do. There were just so many posts! Anyway, here’s a chunk of those gleanings for you, gentle readers. I do hope that you will enjoy them. But before we get to the wider offerings, I need to remind you of what’s been going on here at DET. But before I do that, I want to remind you about the DET book giveaway that is currently underway. Scott Rice, currently a doctoral student at Harvard Divinity School, reviews Adam J. Johnson, God's Being in Reconciliation: The Theological Basis of the Unity and Diversity of the Atonement in the Theology of Karl Barth (London: T & T Clark, 2012). Rice calls this book “a lucid and well-developed argument which maintains a consistent engagement with prominent Barth scholarship,” so surf on over and see what it’s all about.